There are consequences to our national habit of sending food to landfills. American food waste has significant environmental, economic, and cultural ramifications. On average, Americans waste 40 percent of our food supply, which is more than 1400 calories of food per person per day, reports a study by a team of National Institute of Health researchers. 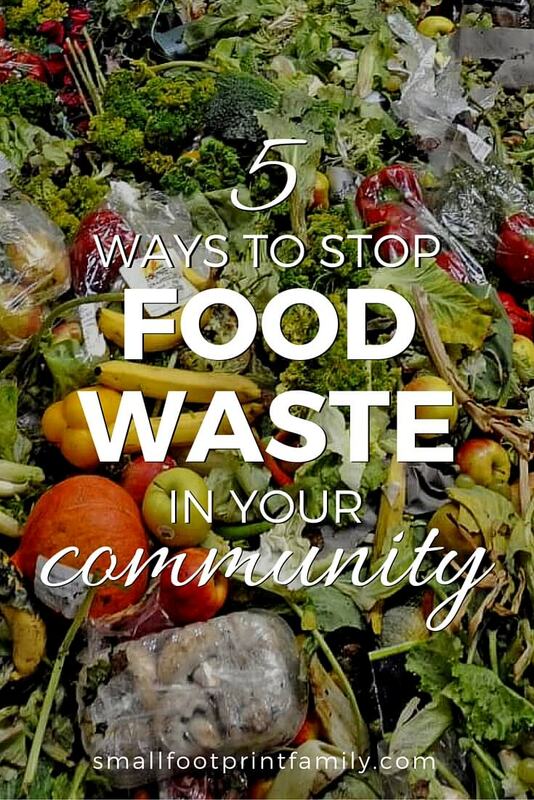 The cost of food waste is $136 billion nationally, or about $600 per household each year. In other words, the food we waste is more than enough to feed the nearly 20% of Americans experiencing food insecurity and hunger this holiday season. According to WastedFood.com, wasting food squanders the time, energy, and resources—both money and oil—used to produce that food. Increasingly, great amounts of fossil fuel are used to fertilize, apply pesticides to, harvest, and process food. Still more gas is spent transporting food from farm to processor, wholesaler to restaurant, store to households, and finally to the landfill. Food waste now accounts for more than one quarter of the total freshwater consumption and about 300 million barrels of oil per year! All these expensive, precious resources literally thrown away on managing food waste?!? What on earth are we thinking?!?! And if that weren’t enough, food rotting in landfills contributes to climate change and air pollution. Landfills are one of America’s primary sources of methane emissions, and the second-largest component of landfills are organic materials, like food waste. 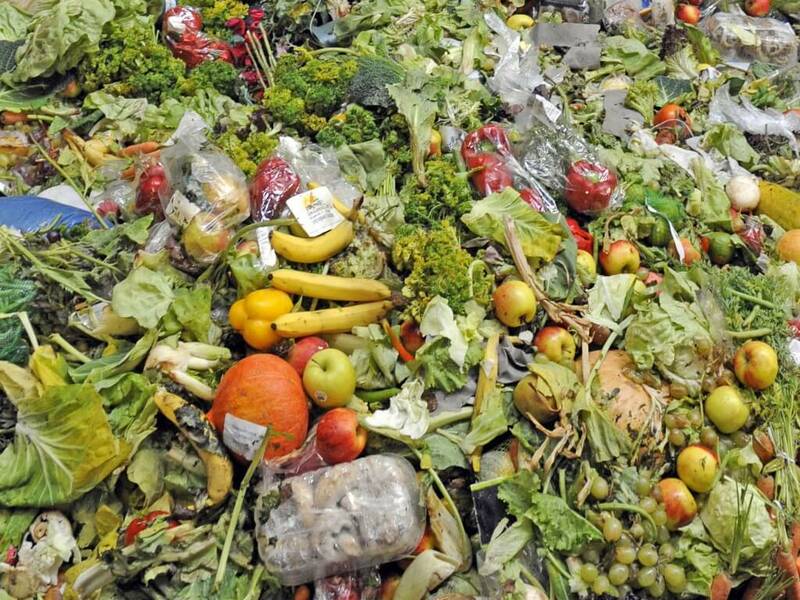 When food decomposes in a landfill, it releases methane, a greenhouse gas 21 times more damaging than carbon dioxide. Furthermore, wet food waste is the main threat to groundwater or stream pollution in the event of a liner leak or large storm. Given the prevalence of food waste, what can we do to keep it out of landfills? The Environmental Protection Agency provides a useful resource with its Food Waste Recovery Hierarchy. At the top of the list is “source reduction,” or, in laymen’s terms, buying less. That means meal planning, making specific shopping lists, and sticking to them. At restaurants, this means ordering sensibly and taking home leftovers. Reducing waste also means buying locally produced food as much as possible. If farmers have strong local demand for their products, and can deliver foods often fresh-picked the day before, there is naturally less spoilage and waste. And with strong local farm markets and CSA programs, you are less likely to buy more than you need for the week. After source reduction, feeding hungry people through food recovery or gleaning is the next best way to curb food waste. Food-recovery groups rescue edible but unsellable food from supermarkets, restaurants, and institutional kitchens. Gleaning, meanwhile, is the practice of picking crops that a farmer plans to leave in the field. Whole fields are often left unharvested because the crop’s market price won’t justify the expense. Feeding animals comes next in the hierarchy, so don’t feel bad about slipping your scraps to Spot. On small farms, hogs, cows, chickens and other livestock were traditionally fed household food waste, and on a larger scale they could be fed commercial food waste today. Many small and mid-size farmers would be thrilled to reduce their feed costs while diverting food from landfills. Fats and greases can be diverted to rendering plants that make soap. If you’re patient enough, you can try this at home. Increasingly, used cooking oil is being used as a fuel source for diesel vehicles—a home chemistry process which, if you are mechanically minded, you can also try at home. Another waste-to-energy scheme is anaerobic digestion. While it’s not yet on the EPA’s hierarchy, the process harnesses bacteria to convert food and yard waste into bio-gas that can power vehicles or create electricity. American farmers have long used the process to create energy from animal manure, but businesses on both coasts will soon use the process to transform supermarket and municipal food waste into power. 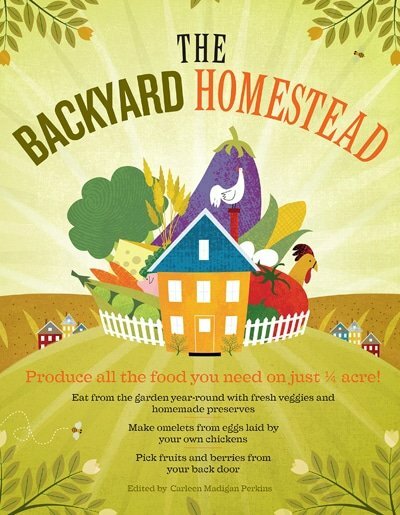 At the very least, food should be composted, where its nutrients can replenish the soil. Many individuals, schools, universities, hospitals, and municipalities have been doing so for years. Composting costs roughly the same as regular waste collection and, depending on landfill tipping fees, can be even cheaper. Here’s a list of 100 things you can compost. What comes at a high price, however, is wasting a precious resource like food by sending it to landfills. When that happens, we squander the time, money, resources, and effort that went into producing that item, while ignoring the environmental impact. And, that’s no way to celebrate the season of gratitude! Great information! So much food does go to waste. I’m visiting from Wicked Good Wednesday and hope you will stop by to say hello. I’m not opposed to reducing what is put into landfills (far from it! ), but I’m curious as to how composting food produces less methane than when food goes into the landfill. Doesn’t it decompose the same way in both places? This is a GREAT question, Amanda! Methane is produced in a landfill because the things in the landfill undergo anaerobic decomposition. Basically, this means that because municipal solid waste that is buried in a landfill does not receive oxygen, it will produce methane. Of course, not all compost piles are treated the same, so some care is needed to make sure your compost gets the oxygen it needs. But, if a compost pile is well aerated as it should be, it will produce far less methane than a landfill. Another more important benefit of composting though is that you are returning the precious nutrients to the soil. Soil can be depleted or leeched of its minerals quite easily. In fact, some estimate that we have only about 20 years of phosphorus and potash left in the ground worldwide, and without them we will be unable to do large-scale agriculture at all! This is quite scary, and everything we can do to return food waste and manure to the land is crucial if we are to survive as a species of 7 Billion or more. Great post – I cannot stand to see food go to waste and it something that parents aren’t teaching their children – clean your plate. Thanks, Dina-Marie, I plan to. Thanks for the invite! Nice article! We attend a large family gathering at Thanksgiving, and now that our host is a widower he gets most of the food from a caterer. It’s hard to estimate, and he wants to be sure of having enough…so there’s a lot left over of at least some of the foods! He hasn’t been able to find any food bank in his area that will take prepared food (only sealed packages) so it’s up to us relatives to cart home leftovers and make wise use of them! Yellow vegetables like sweet potatoes, squash, and pumpkin are interchangeable in many recipes. Try using them in burritos or in place of the applesauce in this quick bread for some variety! I’ve got my turkey carcass simmering on the stove. Can’t wait for my soup! Thanks for linking up on Gluten-Free Monday at OneCreativeMommy.com. Good piece. Food waste is high on my list of pet peeves. Thank you for sharing this good information. Great post! Thanks for sharing. People who don’t want a compost pile can cold compost. Simply save scraps, mix with water in a hearty blender and then bury between rows or in un-used portions of garden under a thin layer of soil or mulch. It’s a great way to return scraps to the garden! This is a great way to compost if you have the garden space! Thanks for sharing! Your post is very eye opening. It makes the abundance of food on our tables look a little different. Thanks for waking us up. The recipes look incredible. Thanks for sharing. Excellent article. We try to reduce our food waste (and our food budget) through menu planning, planned leftovers, and creativeness. Sometimes we still have waste which is either composted or given to the chickens (I get food waste from another source for my chickens also). Even with these measures I know that we could be doing more. Buying locally for produce is a challenge except for the 6 weeks during the summer when the Farmer’s Market is running. I agree with Anna that the government could be a big help by changing who/what they stand behind. I agree it would go a long way if our agricultural policies favored farms growing nutritious food for nearby people, rather than surpluses of inedible commodities for export. In the meantime, it’s great that you are doing so many things to reduce waste at home. There is a great blog called Wasted Food (http://www.wastedfood.com/) which I had heard about on NPR; I think you will find it informative. I love your suggestion about making soaps and biodiesel from wasted fat… we compost all of our veggie waste but I forget about saving fat for soapmaking. That’s how they did things in the old days. It always makes me happy to use up leftovers in creative ways. Rebecca, Thanks for your comment! WastedFood.com is a great blog and a great resource for this article. I haven’t had the opportunity to make soap myself, but would love to hear (or read about) it if you do! Barry Glassner, author of The Gospel of Food, talked about the problem of hunger in a panel discussion with Michael Pollan and Marion Nestle. Asked what was the biggest problem about our food supply, the other two talked about calories and abundance. We do have an obesity problem, that’s for sure, but Glassner pointed out that hunger is a bigger problem. He advocated writing to our representatives in support of legislation that will help feed more hungry children. He also argues that we should stop “preaching to the poor about their diets.” He makes some interesting points about that idea in his book, which might be debated. I think if the government would stop subsidizing junk food production (corn and soybean monocultures and all the industrial food products made from them) and instead put its weight behind making fruit, vegetables and really good meat cheaper for everybody it would help. I think composting is a doubly good move we can all (if we have a corner of yard space) make now, in that it keeps stuff out of landfills and also produces good soil for growing our own good food or at least improving our own environment’s condition. Making broth out of bones that many people toss in the garbage is another way of making treasure out of trash that I hope more people will take advantage of. Making a shopping list, making meals at home and trying to make no more than you can eat, creatively reusing leftovers, etc., are important ways to save money as well as eat better and reducing waste. Thanks for the informative post.